I’ve been playing around with my Stampin’ Up! starter kit stamps, and I decided to use this stamp from the “Fun & Fast Notes” set. I Stickled the cake stands, and popped up the cakes with a foam square underneath each one. I accented the die-cut shape with my Stardust pen, which is also what I used to color in the trim on the cakes. Very pretty! I love how you flipped the sketch! Thanks for playing along at Stampin' Royalty this week! 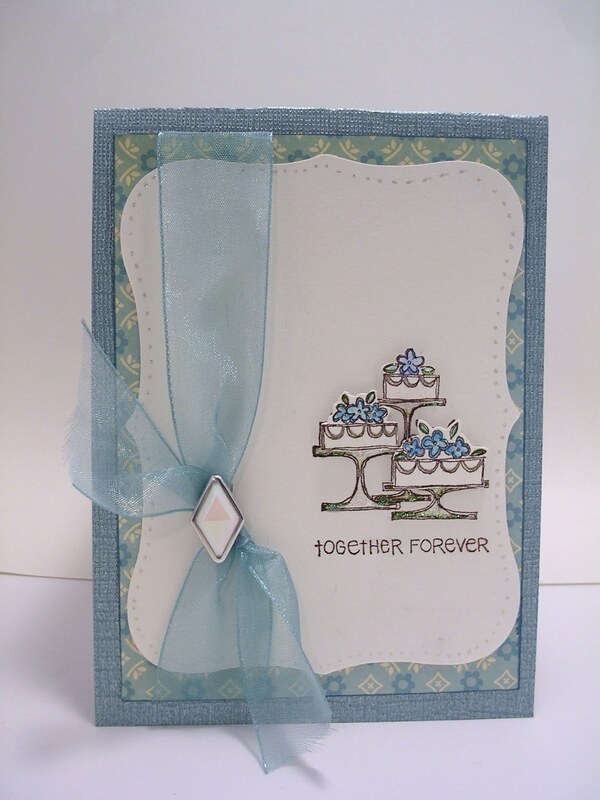 Lovely card – the cakes look great popped up like that. It is so pretty with that ribbon. thanks for playing with us at Stampin' Royalty! And what a great first entry it is. So glad you joined us this week. Great card!! I love what you did with the sketch. 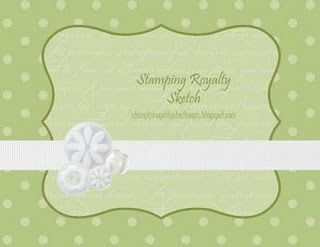 Thanks for playing with us at Stampin Royalty.